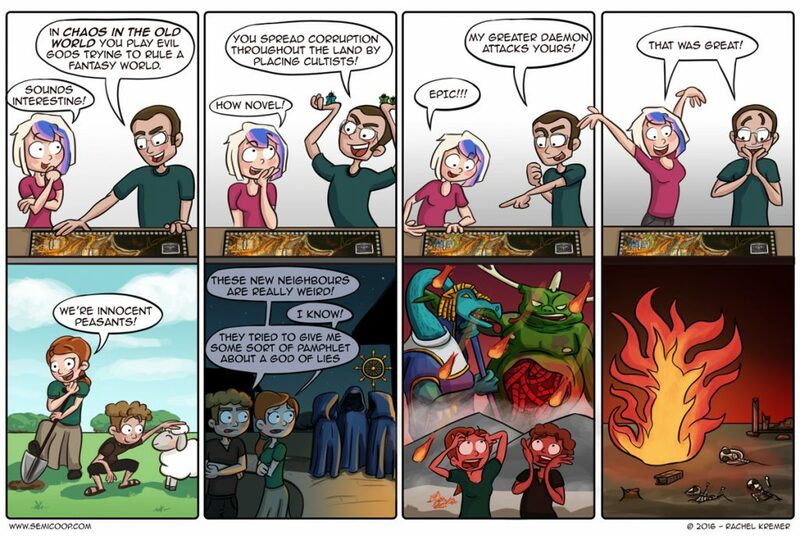 #WarGames are for everybody! published on October 15, 2018 Rachel2 Comments on #WarGames are for everybody! 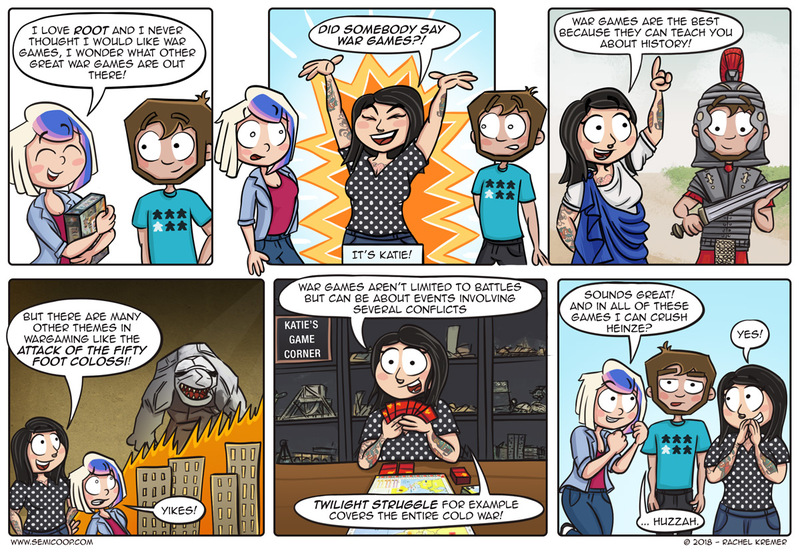 This week’s comic is dedicated to Katie from Katie’s Game Corner! Katie has a blog that is mostly about wargames. But what we think makes Katie special is that she really tries to shed another light on wargames, to give this game genre a lower threshold and she works hard to make the board and war gaming community an inclusive place for everyone without judgment or discrimination. These are things we full heartedly support and this lead to this week’s comic. Katie commissioned us to draw her an avatar a while back and she liked it so much, that she’s having a contest on Twitter where you can win a commissioned avatar! Check that out if you’d like your own Semi Co-op styled avatar, the giveaway ends on October 31. Do you play wargames and do you have any favorites? Yes, I play wargames; a typical games day involves 1 war game, 1 euro, 1 social game. My favorite for a longer wargame is Here I Stand. For a shorter one, Conquest of Paradise. I’m a big fan of Commands and Colors: Ancients. It uses basically the same system as Memoir ‘44, but I like both the time period (Ancient Greece and Rome) and the specific rules a bit more than M44. I also like one that is a nice blend of board and war game and that is Vikings 878. I break this out when I’m trying to convert people to the wargame fold!